It never hurts to have too many henchmen. Put together the last of the Lego Movie polybags that I picked up in Megamall last week: The 40-piece Super Secret Police Enforcer set (30282-1). 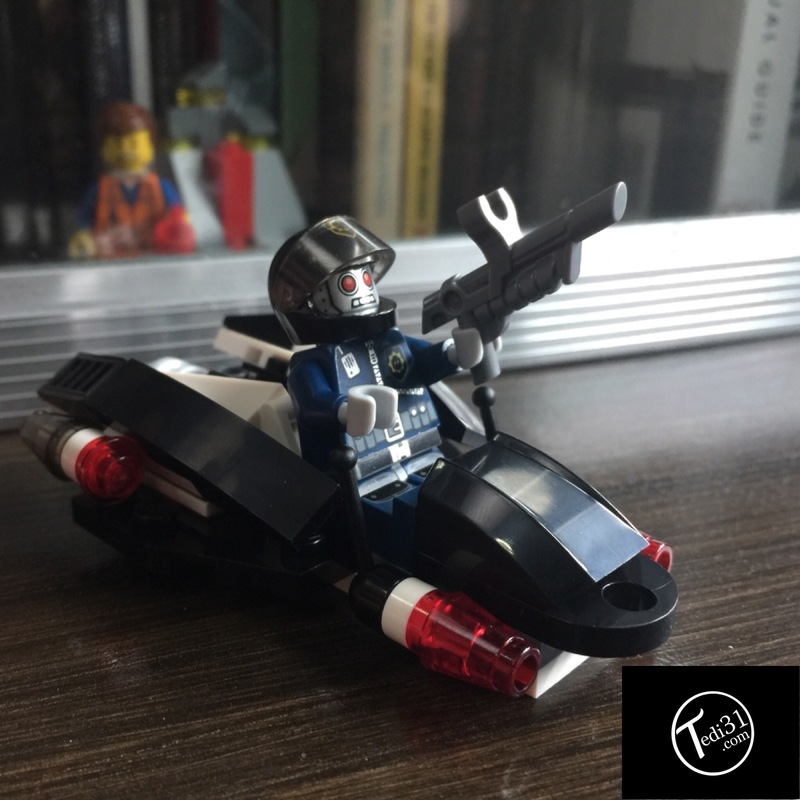 The polybag features a Helmeted Robo SWAT figure (which I think would go quite nicely with another Robo SWAT figure standing beside it as they flank the The Lego Movie’s Bad Cop–or Good Cop or Scribblr-Face Good Cop depending on what head you have on.) and his flying vehicle. The whole thing took about 15 minutes to complete.